and join this FB group (Click Here). Share this amazing free resource with everyone in this beautiful world by using any of these sharing buttons given here at the left hand side. Tweet it, share it on G+, or fb or even linkedin. Tell everyone that you know where the best things are on the internet. Please share! 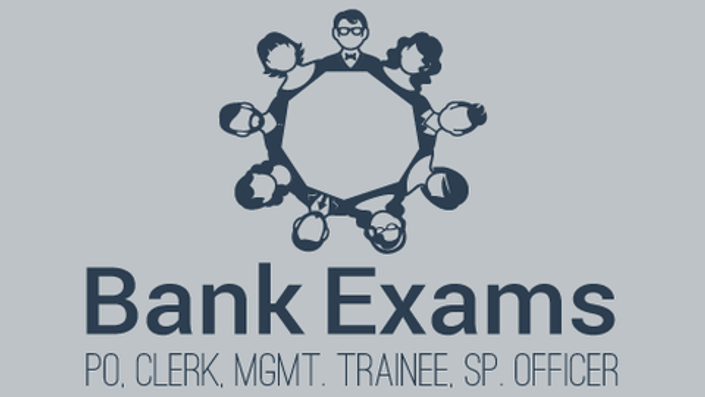 The entrance tests for Bank PO or Bank Clerk examinations are among the most sought after examinations in India. The Banking sector in India, like in the rest of the world, commands a respect and provides a sense of security that is rarely comparable to any other sector. Every year, lakhs of students attempt IBPS, SBI, ICICI PO or Clerk exams. With the advent of technology and increasing competition for a limited number of seats, it has become more and more difficult to prepare without any type of aid/help. The concept of Open Education which is now the buzzword because of the advent of MOOCs (Massively Open Online Courses) is age old in India. Here, teaching has always been considered a duty and not a profession. Many NGOs and dedicated teachers devote time and energy to take learning to far off corners of the country. But the twin problems of compensation (money) and reach (long distance) have limited the effects of these efforts. MOOCs allow us to break these barriers. In this course, we at Pyoopel, try to reach out to all the Bank PO aspirants. We have provided more than 150 lectures and booklets. The link for the free ebook for Bank PO preparation (combined booklets) will be provided shortly here. (a) This course is free today, and will always be free. We will never ask you to pay to learn from this course. (b) This course will be one of the most comprehensive ones on this subject. We will constantly update it to keep it relevant and exhaustive. Bharat is a firm believer in free education and most importantly, free preparation for entrance tests like the CAT, SAT, GMAT, etc. He thinks that he can help you in understanding how entrance tests are created and in the process, assist you in your path to a better career. He has recently found he loves coding and has been going at it with all his heart. He believes that he can help you learn coding the right way. He is a published writer of two books. He has done his MBA from one of India's best and oldest MBA colleges: The Faculty of Management Studies (Delhi University) and has taught hundreds of students how to prepare for the toughest aptitude tests for 5 years now. For the last five years, he has worked in different capacities, previously as a freelancer, and now as the company director and team leader for creating test prep content. If interested, you can visit his website -- www.bharatpatodi.com to know more about him. We don't believe in creating fake testimonials. We would never want you to be unhappy! If you are unsatisfied with anything in our course, let us know, and we will try and make all possible changes. If you have any suggestions, we are eager to hear from you. How does lifetime access sound? Once you have enrolled for the course, you will get lifetime access to the course. Till the day that you clear your exams, you can keep reading and viewing and learning and growing. Best of luck! Pay us with a facebook like, follow us on google+ and twitter. This step is not compulsory, and you can enroll in the course without doing any social favors to us. But we would be grateful if you helped us.